Designated bus lanes will be the way to go, officials believe, after a week-long trial run. But private drivers and motorbike riders say they are competing for shrinking road space and that turning into side streets has become a challenge. A driver also warned of possible fatal accidents when children rush across bus lanes to board school vans. Drivers also demand that politicians build better roads first. 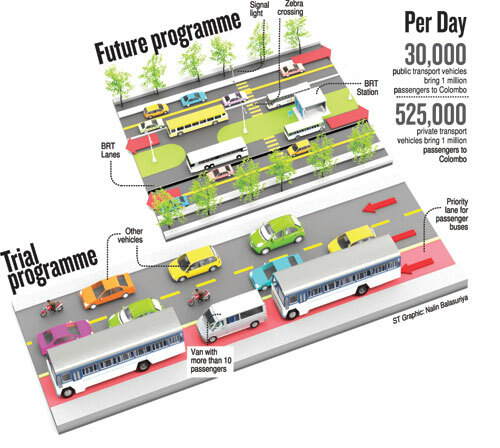 Bus lanes were introduced recently between Welikada and Ayurvedha junction, Rajagiriya on Parliament Road, Kotte. And despite the initial chaos, traffic began to improve by Friday. Results of a survey by students of the Moratuwa University and Road Development Authority officials during the week will be taken up for discussiontomorrow when officials are expected to discuss improvements. The idea drew mixed reactions from commuters, bus, car, and three-wheeler drivers. To ensure the smooth implementation, 40 to 50 policemen were deployed in a stretch of 1.5 kilometres on which the trial took place. 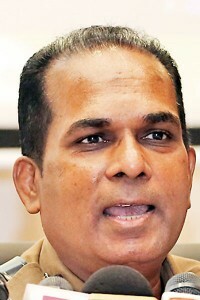 Deputy Inspector General (DIG) of Police, Palitha Fernando, told the SundayTimes, that some deficiencies were identified. He explained that each day they were able to reduce traffic congestion by giving priority to buses and by preventing overtaking. “If the people are able to follow the lanes, unnecessary delays and accidents can be averted while an organised and efficient speed can be maintained,’’ he said. The Sunday Timesteam witnessed public buses moving at regular speed on the dedicated lane, often coming under pressure from buses that were following closely behind. Compared with buses in the dedicated lane, cars, three-wheelers and heavy vehicles moved slowly. 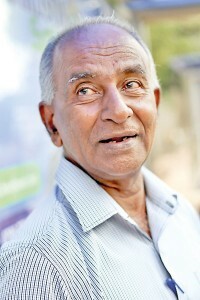 A commuter, who is a retired employee of Sri Lanka Transport Board, Premasiri Perera, said that the bus lane idea needs to be improved. He has noticed that bus drivers can’t slow down, because those following behind will blare their horns. Perera also thinks separate lanes should be marked for Trishaws and motorbikes. and that passenger pick up areas should be designated for three-wheelers. P M Kawindu, an employee of a private company, said he was able to reach his office 20 minutes earlier by bus. But he noted that when lanes are freed for buses, hordes of other drivers compete for the reduced space on the roads, worsening traffic in other areas. An employee of an export company, G A Jasinka, who uses private office transport, said the bus picks up passengers from the side of the bus lane, but because there are other buses that follow, people come under pressure to board quickly. She said she felt safer because the bus drivers are not able to move in and out of lanes. An employee of a private textile shop, Nirmini Kanchana Jayasinghe, said that even though drivers moved smoothly in the bus lane, once they exit the lane, they resort to their usual wild, driving patterns. “One of the concerns is what happens after the bus leaves the priority lane and when they move into the normal traffic flow,’’ she said. Motorbike rider H. A. A. Kumarasinghe, said the bus lane was an ordeal for him in that he had been forced to speed up because other drivers were blaring their horns. There are also dangers in trying to turn into side streets, he said. 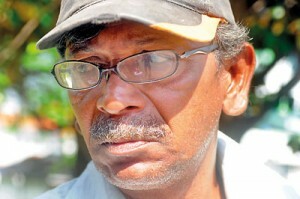 A school van driver, Bandula Vithange, said he could move without the nuisance from public bus drivers. But he is facing difficulties when trying to pick up students by the roadside. He warned of deadly consequences when students try to cross the bus lane to try to get into his vehicle. A trishaw driver, Kalugalge, faces a tough time picking up passengers, even though Police allow him occasionally to enter the bus lane to pick up a hire. He also feels that bus lanes are being created to push Trishaws out of business. 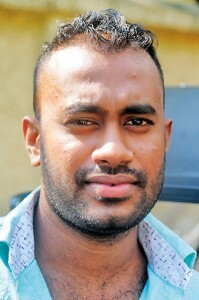 Nugegoda resident and vehicle owner, Hidumul Liyanage Premasiri, said driving had become more difficult since the bus lane came into being. If buses are given priority, then other vehicles should be allowed more road space, he argues. “Political leaders should improve the infrastructure first. Why can’t they create a two-level highways,” he asked. Sarath Chandrapala, the conductor of a bus on route 171 bus, said the drive was smooth but that he could only board a few passengers at a time before a following bus begins to harass. 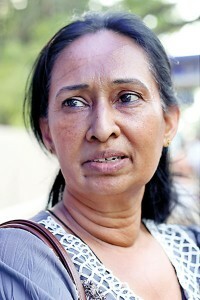 Professor Amal Kumarage a senior lecturer at the Moratuwa University, said the trial was successful. He also said two Korean officials had suggested using the centre island as bus stops. Buses will be able to use the inner lane of the opposite side so that passengers could get off or board the bus from the centre island. Crossing points should be provided at each location. Public buses are moving faster, it appears, for the moment. 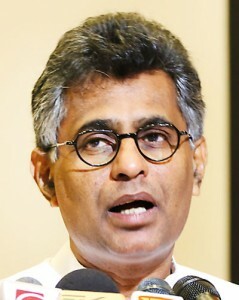 Minister of Megapolis and Western Development, Patali Champika Ranawaka whose ministry which was instrumental in the bus lane trial run told the SundayTimes, buses are moving faster than usual. 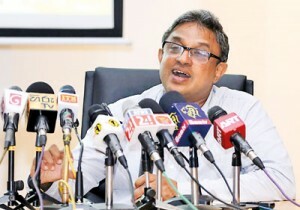 He said the ministry, the University of Moratuwa and the Road Development Authority planned to address traffic issues by developing infrastructure and through city development. “Earlier, the speed of a bus moving at Rajagiriya was 9.5 kilometres per hour and after introduction of the separate bus lanes, the speed increased to 12.5 kilometers per hour,’’ he said. He said the next stage would be undertaken following a review of the trial run. Increase paddy purchases as harvesting begins: Farmers to Govt.